Brothers’ Ink Productions, opened in 2004 with offices in Phoenix, Arizona and Los Angeles, California. The company has participated in over 40 film festivals across the country, won over 20 awards for their films and screenplays, and sold and optioned several screenplays. Many of the films have aired on TV and their award-winning film “Reveille” has shown on the American Forces Network and the Pentagon Channel. 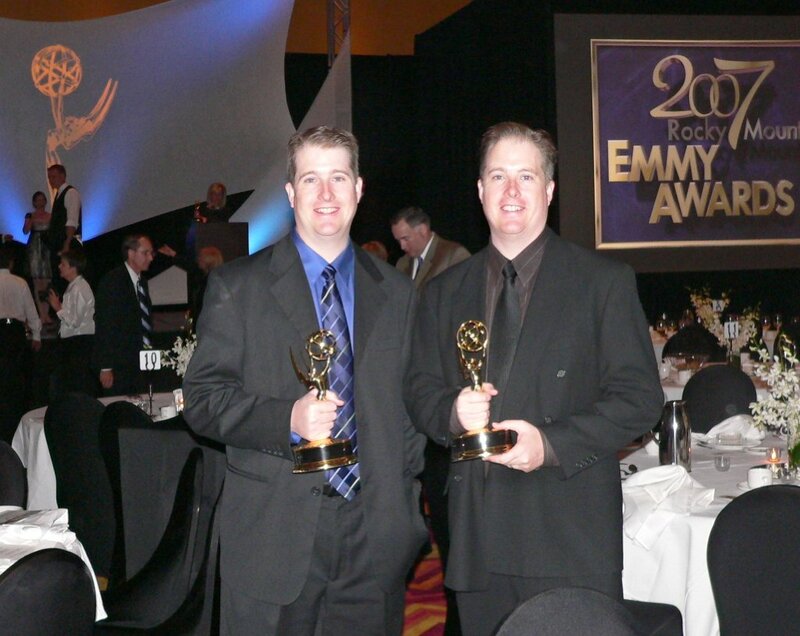 Brothers’ Ink Productions won a Rocky Mountain Emmy® Award for “Reveille” on October 6th, 2007. ​Brothers’ Ink Productions is a production company focused on creating commercial films that are high in quality at conservative budgets. Brothers’ Ink utilizes the business model of creating a short-film as proof of concept for its subsequent features pioneered by industry giants Pixar Studios and Aardman Animations Ltd, but within a live-action setting. Brothers’ Ink Productions consists of producers; John Waldron, Jason Walters, Nick Stahr, Adam Devaney, Neil Mather and brothers Adam Montierth and Donovan Montierth. Brothers’ Ink Productions released our first feature film in 2014, Locker 13. Locker 13 was released theatrically, on DVD and on all digital platforms and stars Ricky Schroder, Rick Hoffman, Bart Johnson, Jon Gries, Jon Polito, Jason Spisak, Jason Marsden, Curtis Armstrong, David Huddleston, Krista Allen, Tatyana Ali and Jose Rosete. Brothers’ Ink Productions will be releasing their new line of children’s books, based on their award-winning short films in 2015 as well as their first non fiction book about the film industry called 100 Years of the Best Movie Stunts. How did Brothers’ Ink Productions Come To Be? Adam & Donovan spent the next few years trying to get a feature film based on Reveille produced called Capture the Flag. At one point, in 2008-2009, the film looked like it was finally going to be made, they had a $5 million dollar budget through a hedge fund and signed actors and Veteran’s James Garner and Louis Gossett Jr. The recession hit and the hedge fund withdrew the funds before they could start production and the film went into turnaround. During this time, Adam and Donovan recruited the talents of Nick Stahr, Neil Mather, John Waldron and Adam Devaney to join Brothers’ Ink producing team. Brothers’ Ink Productions regrouped with the help of Executive Producer John Waldron and decided to produce a thriller anthology series in the style of the old Night Gallery, Twilight Zone and Amazing Stories TV Shows that the twins loved so much in their youth. At a much lower budget and with thriller scripts that had twist endings, their strategy would be to recruit recognizable TV actor s to act in 5-7 short segments that could be pieced together as a TV show or full-length feature film if it wasn’t picked up for series. Each segment would have a different director but have a similar tone and structure. Locker 13 has grown to include 4 Kindle eBooks, a Graphic Novel and a full-length feature starring TV favorites Ricky Schroder, Rick Hoffman, Jon Gries, Jon Polito, David Huddleston, Krista Allen, Talyana Ali, Curtis Armstrong, Jessie Garcia, Jason Marsden, Jason Spisak and Thomas Calabro. Donovan adds, “Needless-to-say, this didn’t sit well with us as it goes against everything we stand for as family men, married men of 23 years each, Eagle Scouts, and ex-missionaries. So, we’ve re-dedicated ourselves to making ONLY family films and TV shows. Thus began our relationship with Jester’z Improv Comedy in Mesa, Arizona, a family owned and all ages appropriate Theatre.” With Jester’z, Adam and Donovan have produced DVDs, shows and events with the immensely popular cast of Studio C, with such TV stars as Pat Finn and movie actors such as Sean Astin.